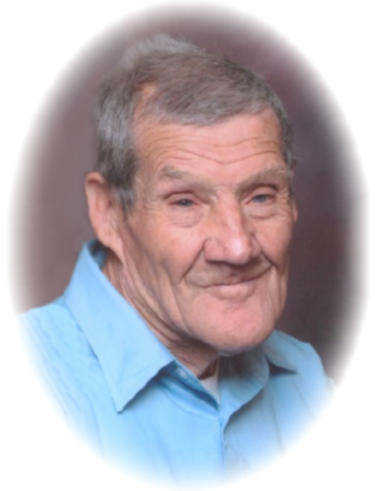 William E. ‘Bud’ Gamble, resident of West Liberty, KY, passed away on Thursday December 6, 2018 at St. Claire Medical Center, Morehead, KY at the age of 90 years. Born November 15,1928 at Ophir, KY, a son of Joe and Ida Keeton Gamble. He was a retired farmer and logger. He will be sadly missed by his wife Geneva Gilliam Gamble, West Liberty, KY his children Christine Grim of Flat Gap, KY, Linda Mullins of Crockett, KY and Gwenna & Randall Patrick of West Liberty, KY, and Chester Gamble of Crockett, KY. Two grandchildren, five great-grandchildren and one great-great-granddaughter. Two sisters Inda Dulen of Mt.Sterling, KY, Lula Mae Collier of Oil Spring,KY. He was predeceased by his parents Joe and Ida Keeton Gamble, grandson Travis Grim, brother Albert Gamble, five sisters Nora Skaggs, Bea Vanover, Gladys Holbrook, Wandaleene Cantrell and Jane Eldridge. The visitation service will be held on Sunday December 9, 2018 at 6:00pm at Herald & Stewart & Halsey Funeral Home, West Liberty, KY. The funeral service will be held on Monday December 10, 2018 at 1:00pm at Herald & Stewart & Halsey Chapel with Bro. Roger Ball and Bro. Spike Skaggs officiating. Interment in Ison Cemetery, Crockett, KY. Pallbearers will be friends and relatives.